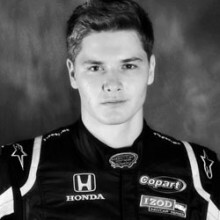 Josef Newgarden has accomplished much in his 21 years. The Nashville, Tenn., native impressed in Skip Barber National competition after a strong career in karts, earning a 2008 Team USA Scholarship which he parlayed into becoming the first American driver ever to win the Formula Ford Festival at Brands Hatch, England. After extremely promising seasons in Formula Ford and GP3 in Europe, Josef returned to the U.S. in 2011 and wound up a clear winner of the Firestone Indy Lights Championship. He was the first rookie to claim overall honors in seven years. 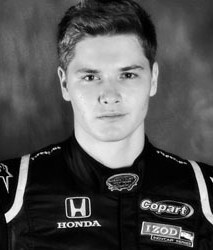 In 2012, Newgarden will make his debut in the IZOD IndyCar Series driving a Dallara-Honda for the new Fisher Hartman Racing team. Josef Newgarden answers your questions! Was there a significant mental adjustment when you moved from Indy Lights to IndyCars? For me it wasn’t as big an adjustment as I thought it would be. I think it’s very easy to see how it would be a big mental adjustment, stepping from a junior series, even the top junior series, into the professional leagues, because suddenly you’re racing against guys that have been in the series for a very long time. They’re considered superstars of the sport, and I think just purely being able to compete with them and run on the same track at the same time with them can be mentally overwhelming at the start. For me, I tried to not let that take over because, at the end of the day, they’re all race car drivers that race just like other drivers I’ve raced against in the past. They’re no different. They have a little bit more experience but they’ve all done exactly what I’ve done in the past, they’ve come from the same place as I have, so in respect it shouldn’t be any different. It hasn’t been a big jump for me. Assuming a driver is very successful at the grass roots level of racing, what would typically be the next step in his or her career if their aspirations were, let’s say, Indy or NASCAR? As far as open-wheel racing goes, I think the Mazda Road to Indy ladder, which has been created by INDYCAR, is the best route for anyone to go that’s aspiring to be an IZOD IndyCar Series driver. As far as NASCAR, I think the USAC championship is one option. There’s also the ARCA-RE/MAX Series or you can start in Late Models which is very popular in lots of different areas in the United States. You can find your local tracks and talk to people and teams and see how to get involved at the local level. Also, it’s very important to take one step at a time; don’t try to cut out too many steps on the ladder. As a racing driver, what is the largest challenge that you have to face as you work your way through your career? Sponsorship? Developing confidence? Great question. I think sponsorship and finding support is definitely the most crucial part in motor racing in this day and age. You really have to be educated about the business side of the sport. If you do not have the backing or the support, then you won’t even be able to make it to the race track to start developing your skills. Nowadays it really is a lot more business than actual racing, so it’s really important. Is it always best to be aggressive? Being aggressive is not always the right way to go, but certainly at times it is called for. In INDYCAR, I’ve found that if you’re not aggressive enough on starts, in particular, it can actually work as a disadvantage. If you try and be too passive on a race restart, you can get swallowed up by the field behind you. So there’s definitely a level of aggression that’s needed but it needs to be controlled and it doesn’t need to be turned on all the time. You need to understand when to use it and when not to use it. I love driving to the ends of the earth. I’m 15 right now and I’m saving up my money for a Spec Miata and I’m close, but when I get it, I’m not sure how to set up the suspension and things like that. I really would like to make it big in the racing world but I need a good car at the beginning of my career to start it off. Any suggestion on how to set up the car and do well? Hey, Aaron, you’ve come to the right place, at least for some of the basics. Check out this week’s SAFEisFAST.com tutorial with David Donohue and Jay O’Connell from Rahal Letterman Lanigan Racing and watch for upcoming videos on race car set up. Now that you’re a big-time race driver, does that mean someone else has to mow the lawn? Yes, someone else does have to mow the lawn because I moved away from my parents’ home and I moved specifically to an apartment so I didn’t have a lawn to mow any more! Say I’m only running a limited schedule this year. What can I do to maximize my exposure? Win! Seriously, I would say choose your races wisely. If it’s not favorable to you, then it’s probably not worth taking up if you can only run a limited schedule, so definitely choosing your battles – a track you know particularly well, for example – would be the best piece of advice. Josef, congrats on your first season with INDYCAR. Regarding carbon brakes, some supercar brands like Porsche provide the carbon brake option on some of their models. Based from INDYCAR race commentary this year, the carbon brake system on the DW12 car requires a warm-up period. Given the warm-up period, would you recommend the carbon brake systems over traditional (steel) brake systems, assuming normal to aggressive everyday driving, wet and dry, and an occasional amateur track racing event? Carbon brakes are in my opinion, from the ones in my experience, and the ones in the DW12, are actually very responsive at low temperature and they seem to become more controllable when they build heat. That can be different for other carbon systems, and they all have their own nature. Steel brakes tend to be less aggressive on initial bite and seem to become more effective with higher temperature. For me, if I was to buy a road car, as a race car driver I wouldn’t mind having carbon brakes on the street, but for someone else, I think it’s a personal preference. If you are a sporty type of driver and you like to autocross on the weekends or do something else fun with your car, I think carbon brakes are certainly fine, but probably not the best thing to have for a daily driver. I would stick with steel brakes. Josef, what is it that drives you to be a better racing driver? Is it simply your passion for racing, or is it something deeper? Going off of this, if you had one piece of advice to give to an aspiring driver, what would it be? I think it’s all personal. It depends on what motivates you as a person. For me, I’m a very competitive person. I love competing and I want to be the best that I can be. I like to compete, to have a good time and give 100 percent effort, so for me it’s all or nothing! I don’t want to be involved in something unless I can be the best at it, so that’s what personally drives me. As far as anyone else is concerned, there can be many different factors. My personal piece of advice is if you don’t truly love racing or you don’t have a large amount of tenacity for the sport, then I would choose another profession. Hi Josef! My son is a newly licensed driver and has taken basic driver’s education. What would you recommend to make him a safer driver – a “performance style driving course” (in our family car) or a full-out “high-performance” course with open-wheel and sedan training? I appreciate your thoughts. I would say both would be beneficial. If you can’t do both, I almost think a high-performance course would be more useful. It might open up his mind a little bit and make him experience some things he’s probably never imagined before. He’ll get to work with instructors that are trained in the racing field and it might give him a deeper respect for speed and how it’s used. If you have access to both and you have the means to do both, you can’t go wrong. Has there been any hazing by your fellow drivers in the paddock? I don’t think hazing is involved in racing! I think you’ll find, specifically in open-wheel racing in North America, that everyone is supportive of one another. We’re extremely competitive as racing drivers but we’re also very supportive of each other and we want the best for our fellow drivers. I’ve certainly had a lot of jokes played on me from some of the other drivers, all in good fun, but more so I’ve just received a lot of support from all the top guys, such as Justin Wilson, Will Power, even some of the newer guys like James Hinchcliffe. So if anything I’ve received the absolute opposite of hazing, which is really encouraging to me. It’s made the transition very easy. 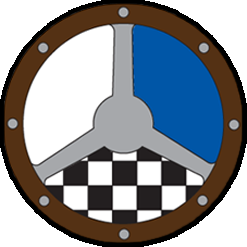 I am currently in the Skip Barber Race Series and am doing well, but what do you think allowed you to get where you are? Any one thing in particular? It’s definitely not one thing in particular. It’s a combination of things, and certainly in this day and age, at the top level, people are looking for the full package. You need to focus on a lot of different aspects of this sport and you’ve got to be presentable in many different ways. It’s important to be professional in a lot of different aspects – being able to represent companies and work well with sponsors; being good on the race track; being able to work with engineers and being able to lead a team. Those are just a few of the many things people look for nowadays. Last year you had to be oval trained and get approval to race on the ovals. Can you tell us what that process was like for you, and what requirements needed to be met? Yes, ovals were brand-new to me. I approached them very slowly! I think taking it slowly and getting up to speed at your own pace is very important. Considering the risk associated with racing on ovals, where crash-damage bills can be much higher, you need to have a strong team around you. It’s even better if you can have access to a driver or a coach that has experienced it before, and can walk you through the process during a test day. That can be very helpful. But ovals are no different than road courses in the sense that you just need to figure out what works for the car and how you need to approach the line, and how you need to approach driving the car around an oval, just like you would when you learn to drive a road course. It’s all the same process, you just have to start over again. What type of mental preparation do you do prior to a race? Do you do the same regime every race? Mental preparation is huge in racing. You can have horrible race weekends if you’re not mentally in the right state. It can have a larger effect than a lot of people realize. I try and take myself out of racing mode for a couple of days and focus on other things, to kind of de-stress almost. It could be training – just try and get back in your training regimen and focus very hard on upping your physical level – but I try to take a couple days and not think about racing. Even though that can be really hard, when you love this sport so much, I think if you can just take those couple of days and try to do those other things that make you happy as well, that can refresh you and reset you going into the next race weekend. In the beginning of a race, how hard are you pushing the car? If you’re running a sprint race, which is, say, 30 minutes, you’re going to be pushing very hard at the start of the race. You’re not going to be pushing 100 percent because you will want to watch out for the degradation of your tires – because you won’t be getting new tires during the race, so you don’t want to run them off too early and have nothing left at the end of the race. At the same time, because it is a short-distance race, you need to be aggressive enough to where you’re not using the time unwisely and you’re not letting the people get away from you. So management of that time is very important. You need to be able to keep up with the pack in front of you if you’re behind or trying to make passes, and you need to pace the field if you’re leading the pack. How did you approach sponsors when you were in the lower levels of racing? And what was the key that made sponsors say “yes”? Good question! Probably one of the best pieces of advice when approaching sponsors is that you need to do your research. You need to understand everything about them and you need to understand what they need, because getting sponsors is about making it work for them. It’s not about making it work for you. You need to understand what their needs are and what they need for this relationship to work. Have you measured your lap reaction times with either using heel-toe downshifting and with no heel-toe? Would you believe that right-foot braking is inferior to left-foot braking? Right- and left-foot braking can both be used, depending on what car you’re driving. When I drove Formula Ford cars in 2009, you had to right-foot brake in order to reduce wear and tear on the gearbox. Nowadays in INDYCAR, with all the technology that’s available, certainly I believe left-foot braking is the best route to take. Now that you have assists in the car with shifting and the car actually rev-matches for you, if you have access to that and you have the ability to left-foot brake, I do think it is superior to right-foot braking as far as speed goes. What is the hardest part of a pit stop for you? Pit stops are brand-new for me. It’s my first year doing them, and the hardest part for me was learning how to get into the pit-box squarely. Getting your car lined up to your mechanics just right is very important. You don’t want to have your car pointed diagonally when you get into the pits, you don’t want to overshoot your box and you don’t want to undershoot your box. If you can put your tires exactly where your team needs them and where they have marked it out for you each and every time, then you’re going to make it a lot easier for the guys to change your tires, get your fuel and get you out of the pits quicker. So really it’s a lot on you to try to help your pit guys out, and that’s pretty difficult – learning how to judge your speed and to get that right every time. That’s one of the things we’ve worked on and I’ve practiced, and I’m definitely getting better at it each and every time. What is the hardest part about keeping pace midway through a race when there is no one to chase down and provide extra motivation? One thing you can do is pretend someone is in front of you, if that helps you. It’s definitely case by case. I try to pretend that I’m doing qualifying laps. If I’m allowed to run the car flat-out and I’m not trying to save fuel in the race, I put my focus on trying to do a qualifying lap every time I pass the start/finish line. You can put yourself in a mindset that you’re in a qualifying mode, and that can help you run fast, consistent laps. What is your training and diet regimen like? With the lack of power steering in INDYCAR, is upper body strength a benefit or is it a non-factor? Racing in INDYCAR this year for me is definitely a step up from anything I have ever done before. The races are twice as long as anything I’ve ever run, so cardiovascularly it’s a big difference. Over the winter I did work a lot on my cardio; we worked on some strength training but I think with the Indy car, strength is not the most important thing. You need to be very cardiovascularly fit, much like a cyclist or an endurance rower. Diet is also very important, and nutrition as well. These become very, very important on a race weekend and also the days leading up to a race weekend. Hydration needs to be started before you even get to the track and needs to be kept up all the way through the race weekend because you race in really hot climates, which can dehydrate you really quickly. It can make you suffer inside a race car. Aside from that you definitely need to have the right food intake so that you have enough energy through the whole race weekend. All of that put together is definitely one of the hardest parts sometimes and one of the most important things for drivers. Do you think INDYCAR should use just one type of compound tire at each track? I personally love the multiple compounds at each track that Firestone gives us to use in INDYCAR. This is the first time I’ve been able to experience different compounds on the same weekend, and I think it’s great. It adds another element and it can certainly separate you from other people if you are able to get on top of it quicker. It also adds a lot of excitement to the race. We just raced at Barber Motorsports Park, and that’s a great example. We had a compound that went off very, very quickly, and managing that compound and trying to work with it throughout the race was very difficult for a lot of people, so it created a bit of drama and some difficulty for the engineering staff, but it also created great racing. I love different compounds on a weekend and I think that even adding a third or fourth compound would make it even more fun! For a medium to high-speed turn coming off a long straight – so NO threshold braking and maybe just a lift – how do you gauge braking points and duration and corner entry speed such that you can work up to a consistently fast and safe high-speed turn? First of all, you’re going to need to understand what type of braking capability the car you are driving has, whether it’s an open-wheel car, sports car or sedan. Once you’ve determined that, I recommend you do a track walk to go around and view the different corners. When you’re doing this, you’re going to want to look for reference points, which will give you a sight picture that you can judge when you’re entering a corner, and build up a picture in your mind so you can work up to the optimal braking point. You can pick cones, for instance. When you are on the track in your race car, if you’re entering a mid-speed corner and they have four cones, then you can start braking at the “four” cone and if that’s too early you can work up to the “three” cone and so on. If there are no cones, you can look for curbs or trees or walls or anything that gives you a visual reference. Then it’s just a question of doing as many laps as you can and working up your corner-entry speed as you gain more experience of each particular turn. What is “trail braking” and when do you use it in racing? Trail braking is lowering the brake pressure after initially jumping on the brakes going into a corner. It can be very effective with dictating the handling of the car into the entrance of the corner and affecting its traits and the way that it reacts on the entrance. Really, braking is the start of the corner and it’s what dictates the car throughout the entire corner, so in a sense it’s the most important element to lap time, in my opinion. Where should your eyes be looking during a race? White line, other cars? When you’re driving, particularly on an oval, your eyes need to be looking up and ahead and down the race track. They don’t need to be looking at the nose (of the race car), don’t need to be looking inside the cockpit at the steering wheel. They need to be ahead of the cars in front of you, looking at where you’re going. You need to have a good idea of where you’re going and of other cars around you. You can shift your eyes as well, if you need to, to keep an eye on everything else going on but some drivers, particularly the beginners, want to look down at the front of the car, just in front of the nose, which does not give them a good sight picture of where they’re heading, which is really what you need in order to carry the most speed and limit accidents or anything of that nature. So keeping your eyes up and ahead of you and down the race track is very important. I’m 17 and passionate about cars and racing, but I don’t know how to get started. Should I skip karts and go straight to cars, or start at the very bottom? I’m more interested in touring cars and sports cars, rather than open-wheel. Although Formula One would be cool, I’d have to have started when I was about 6, ha-ha. I would love to race in the American Le Mans Series also. I do feel, personally, that it’s very helpful to do karting first – to learn the basics about racing. You’ll learn that some aspects of driving a car and a kart are very similar – like turning the steering wheel, applying gas, applying the brake pedal, getting used to other karts and drivers around you on a course. That’s probably the best and most inexpensive way to get introduced to racing. After that, the INDYCAR series has a very useful ladder system now called the Mazda Road to Indy, which is great if you’re interested in open-wheel racing. It has a great line of progression from karts, through Skip Barber, then USF2000, Star Mazda and Firestone Indy Lights, all the way to the IZOD IndyCar Series. If you’re looking to go a different route, the Skip Barber Racing School has some other great courses to help you transition out of karts to sedan-type racing or closed-cockpit cars, such as MX-5s, Spec Miatas. I think that’s an excellent championship if you want to start racing on bigger tracks with a bigger car than a kart and get used to driving in that arena. And then obviously you can try and parlay that into a more powerful car and possibly move on to the Grand-Am Series or the American Le Mans Series if you want. Is there a mindset or specific technique used to get the most out of an ill-handling car or one that has had its tires go away severely? Yes, there are techniques you can use if you’re experiencing severe understeer into a corner late in the race or if understeer is becoming a trait of the car. You can use techniques to speed up some corner entrances. If you’re experiencing that understeer on-throttle, on the exit of the corner, you can try to attack the entrances more and then apply throttle later, to minimize the understeer. If you’re experiencing oversteer on entrance of a corner, then maybe you can try and slow down the speed at the entrance of the corner and then power-out of the corner quicker – if throttle-down seems to alleviate the problem. Sometimes transferring the weight back to the rear of the car, with a little bit of throttle midway through the corner, allows you to attack the exits more than the entrances. So there are various techniques you can run through in the car to try to alleviate any issues that you have.